In past seasons the SummerFest programs aired on UCSD-TV tended to the eclectic, mixing different styles, eras and composers broadly representative of the chamber music genre. This year, we’re focusing on four great masters of the Classical style: Franz Joseph Haydn, Wolfgang Amadeus Mozart, Franz Schubert, and Johannes Brahms. Some definitions are useful here. We use the term classical music (note the small “c”) colloquially to include all Western “art music” (or “serious music”) from roughly the ninth century to the present, and especially the seventeenth century to the nineteenth. In fact, the loose term classical music encompasses a broad variety of forms, styles, genres, schools, movements, historical periods, and composers. The Classical period (note the capital “C”) highlighted in our programs was predominant from the mid-18th to the mid-19th centuries, and was largely developed in Germany and Austria. It derived from the Baroque period and lead to the Romantic period. The hallmarks of the Classical style include a rejection of the ornamentation of the Baroque in favor of a cleaner, simpler style, one with a lighter texture and concerned with logical development, structural balance, adherence to form, proportion, and “rightness” of phrasing. It was highly organized and melodic music, well suited to the Age of Reason. As is always the case when attempting to strictly define historical periods there was considerable overlap between the different styles, and several well-known composers are considered transitional figures – Haydn, Beethoven, and Schubert, for example (though it’s been argued that Beethoven is a genre unto himself). Each of the four composers whose works are performed in our programs made contributions to the development of Classical style. Haydn is considered the key transitional figure from Baroque to Classical; indeed, more than any other composer he may be said to have invented Classical style, and has been called the “Father of Sonata Form.” Mozart, who was a contemporary of Haydn and greatly admired the older man, worked within Classical forms and brought them to an unsurpassed degree of perfection. Schubert, an admirer of Haydn, Mozart, and Beethoven, brought his own innovations to the style and paved the way for the Romantic era that followed. Brahms was a late Classical composer, a Keeper of the Faith who resisted the siren call of Romanticism, fighting a rearguard action against the onslaught of Richard Wagner and his acolytes. Alas for Brahms, history was on the side of Wagner. Romanticism was followed by modernism, serialism, minimalism, aleatroricism, primitivism, Neoclassicism, New Romanticism, post-modernism, etc., etc. ad nauseam. For a time Classical style fell out of favor – with composers, that is; it never lost its allure for audiences, and by the 1970s younger composers and performers were re-discovering its charms, once again immersing themselves in study of the period and its leading figures. Perhaps they were looking for order amidst the chaos of seventy-plus years of experimentation; or perhaps the older forms were seen as a tonic against the extremely subjective and drily academic nature of much modern music, and a way to reconnect with audiences. Or perhaps, as SummerFest Music Director Cho-Liang (Jimmy) Lin notes, it’s as simple as “a good tune is always a good tune – there’s no substitute,” and the Classical masters offered good tunes in abundance. 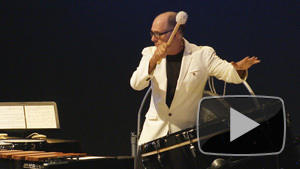 Watch La Jolla Music Society’s SummerFest 2014 Season. UC San Diego Jazz Camp exemplifies Getz’s definition. In its twelfth year, Jazz Camp transports its students through a one week, one-of-a-kind journey into the world of jazz. Combining the expertise of more than a dozen nationally- and internationally-known musicians and jazz educators, this extraordinary faculty brings students of jazz together to explore a full spectrum of approaches to jazz improvisation. At the end of the week, UC San Diego Jazz Camp culminates in a finale concert, featuring student ensembles performing standards and original compositions with the participation and under the direction of faculty members. 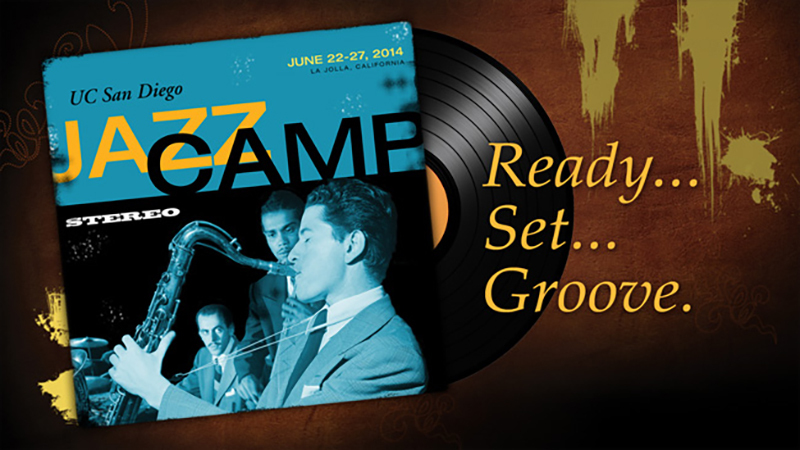 Watch the latest season of Jazz Camp and browse past performances. Enjoy the last moments of Summer with UCSD-TV’s coverage of this year’s La Jolla Music Society’s SummerFest! UCSD-TV has been filming this annual three week festival of chamber music since 1999 and archives of these past performances can be found in our La Jolla Music Society’s SummerFest Series. This year’s SummerFest did not disappoint with world premieres by three Pulitzer Prize-winning American composers: Steven Stucky, David Del Tredici and John Harbison. Watch “La Jolla Music Society SummerFest: Musical Crossroads” to also see the “Sonata for Two Pianos and Percussion” by Hungarian composer Bela Bartok. Watch other great chamber music concerts in the La Jolla Music Society’s SummerFest Series. 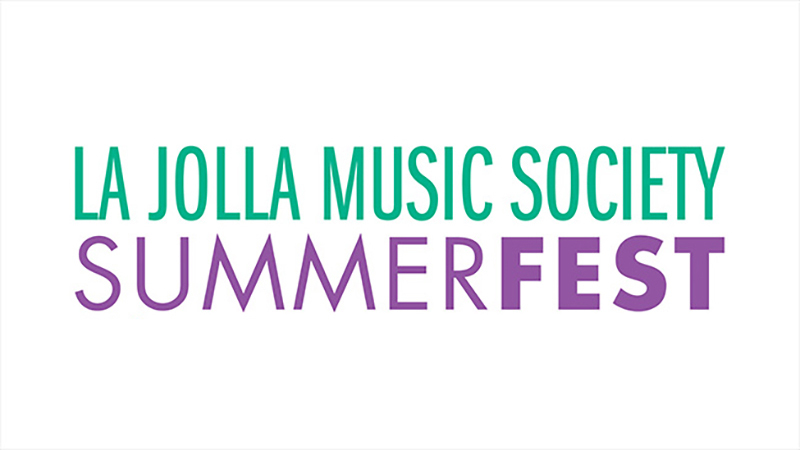 Summer wouldn’t be the same without La Jolla Music Society’s SummerFest! Every year La Jolla Music Society orchestrates three weeks of chamber music concerts with world famous musicians who not only perform original works but participate in discussions, give lectures and coaching sessions for younger musicians, and attend social events. UCSD-TV has been capturing these musical moments since the 1999 SummerFest season and all of these performances are archived on our website. SummerFest, led by violinist Cho-Liang Lin, delves into the story and art behind the musical pieces with pre-concert talks and interviews with the artists. Get ready for the upcoming season of SummerFest with this past episode, featuring “Wayne Shorter’s Terra Incognita, 2006.” Shorter discusses his inspirations for his famous “Terra Incognita” as well as the Imani Winds quintet describing their experience playing the piece. See what other musicians have been a part of the chamber music celebration in the SummerFest Series! Make Room on the Award Shelves! It’s time to make some room on our award shelves! We’re happy to report that a whopping five UCSD-TV programs have been honored with awards for excellence. Gold is the metal of honor when it comes to our haul at the Aurora Awards. That’s because four very different UCSD-TV programs took home Gold Aurora statues. We also rose to the top at the Telly Awards, where The Skinny on Obesity: Sickeningly Sweet, produced by UCSD-TV’s Rich Wargo and Jennifer Ford for the YouTube original channel UCTV Prime, won the Silver Telly for Internet/Online Programs in the Health and Wellness category. The Aurora Awards are an annual independent film and video competition that honors excellence in commercials, cable programming, documentaries, industrial, instructional and corporate videos. The Telly Awards honor the very best film and video productions, groundbreaking online video content, and outstanding local, regional and cable TV commercials and programs. Congratulations to everyone on the UCSD-TV team!